Years ago when this whole ‘fat free’ thing started I did my research and found that going on this type of ‘diet’ was more dangerous to one’s health. 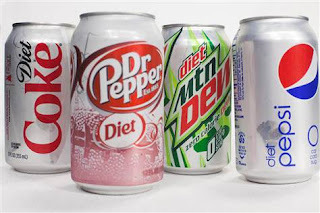 Around that time when my children were young I told them not to drink diet soda(we did very little regular soda either) as at the time there was very little research but I told them to go with the ‘known evil’: sugar as opposed to the unknown evil: aspartame. The years have proven me right. 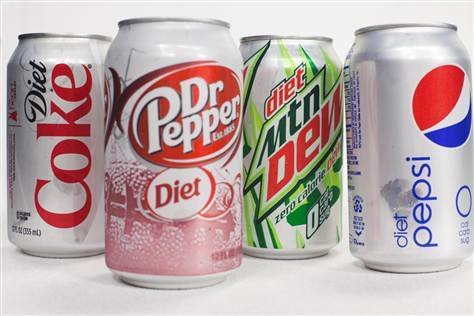 Diet soda is much more dangerous to one’s health than regular soda(ie. : pop, soft drinks, soda pop, etc.). If only from the aspect of obesity one should stay very far away from these drinks. I sell a very good skin cream online and at trade shows. As a result I speak to a lot of people about their skin. I do lots of research on causes of skin problems. One of the things I ‘discovered’ – not news to many, is that the liver affects the skin. Generally, if you have a healthy liver your skin will be healthier. I suggest to people at trade shows when I am selling the skin cream that have a problem with eczema or psoriasis to do some research on liver cleanses as part of their program to improve their skin. This has worked for many that I have talked to. And more generally, a healthy liver is vital to a healthy body. If you read my review in an earlier post on Dr. Eric Berg’s book you will find that the liver can have a lot to do with weight gain/loss as well. So, what does diet soda have to do with the liver? you can see the damage that can be created. There is evidence that the accumulation of formaldehyde can cause permanent/long term damage. There other damages that aspartame can cause but this one is plenty enough for me to stay away. Another ingredient that is in most sodas, not just diet soda is sodium benzoate. It is added to soft drinks to prevent mold and can cause damage to the mitochondria of the DNA which can eventually lead to cirrhosis of the liver. Due to its ability to keep soft drinks fresh and prevent harmful bacteria from growing, sodium benzoate has been used in soft drinks for many years. While the food agencies in the United States and Europe approve sodium benzoate as a safe substance, there is plenty of evidence to the contrary. This common preservative has been implicated in being a detriment to our health by possibly forming a toxic chemical and by causing human DNA damage. So, if you do a very little bit of research you can find dozens of reasons not to drink diet soda. A couple of things that most people don’t do very well: observing what is in front of them and realizing if something isn’t working, change it. (Hey, I often miss the obvious, myself.) When I actually look at people drinking diet sodas, most are overweight. They have been drinking this type of beverage for years in most cases and tend to gain more than lose weight! And that leads into the second – if you have been doing ‘Activity A’ to fix something for some time and it is not working, try something else!! !